Our online continuing legal education courses are for New Jersey attorneys who want to make the most of their time and money. For as little as $19.99 per course, easily earn New Jersey CLE credit online through courses which have been produced in a variety of legal subjects that matter to you. Try a Free course before you make your purchase with our Free CLE program. To easily fulfill all of your allowable online CLE hours, see our New Jersey Bundles page under State CLE Bundles. 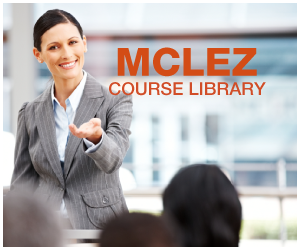 MCLEZ is an Accredited CLE Provider for New Jersey as approved by the Supreme Court of New Jersey Board on Continuing Legal Education For more information, search for MCLEZ on the New Jersey Board Website and view our accredited provider status, or call 609-633-9733. In this program patent attorney Steven A. Nielsen discusses the evolution of awareness of the general subject matter of competence as it relates to substance abuse (including new legal medical cannabis), stress, age, dementia and other factors and their relationship to the practice of law. The maxim that "the law is a jealous mistress" can be true if attorneys fail to take a big picture view of the factors at work which can cause physical and mental harm and distract lawyers from enjoyment of their lives and the need to pay attention to their physical and mental health. This program addresses both the need for awareness of substance abuse, depression, mental illness, age, cognitive decline and related issues, plus practical, easy to implement steps to facilitate an enjoyable and effective practice. As a college lecturer for 27 years and an economic consultant to attorneys for 25 years, George A. Jouganatos, Ph.D. discusses the effective use of an expert from the point of view of the expert. His experience includes a wide variety of cases in employment, personal injury, wrongful death and commercial matters. The topics discussed include selection and timing of engagement, ethics for experts, identifying experts, selection criteria, fees, and preparing for testimony. George A. Jouganatos has been a professor of economics for over 17 years. He has taught economics, finance, and quantitative analysis at University of California, Davis, University of California, Santa Cruz, California State University, Sacramento, and California State University, Hayward. He has published and engaged in seminars in the fields of the economics of development, political economy, economic history, environmental economics, public policy, and economic modeling and forecasting. Dr. Jouganatos conducted research at the University of Athens and the Center of Economic Research and Planning in Athens, Greece where he conferred with many of the nation''s top economists and political officials. The fruit of the research resulted in a seminal book on the development of the Greek economy. His work on the Greek economy has been cited numerous times. He also engaged in research at the Institute of Development Studies, University of Sussex. He works as a consulting economist providing economic and statistical analysis for the private and public sectors since 1991. He has written many economic impact, efficiency, cost, and feasibility studies. He has designed economic models, strategic plans, and performance measures. Dr. Jouganatos serves as an expert witness for cases involving personal Injury, wrongful death, wrongful termination, housing discrimination, employment discrimination, economic loss, business valuations, public finance, and breach of contracts. He has consulted and given testimony for numerous attorneys in California as well as in Nevada, Iowa, Montana, Hawaii and New York. His selected clients include California Department of Boating and Waterways, California Resources Agency, California Attorney General, California Department of Finance, California Department of Education, California Department of Transportation, California Department of Justice, California Department of Corrections. Governor''s Office of Planning and Research, City of San Francisco, Harcourt Brace, State Farm Insurance, General American Investments, Individual Rights Foundation, Allied Electric Motor, Bank of New York, and numerous law firms. Dr. Jouganatos has advised California State Assembly and Congressional candidates on economic issues and policies. He was asked to review economic platforms of United States Senate and California gubernatorial candidates. On several occasions he has provided brief commentaries on economic events and issues for television and radio. In 2000, he was awarded a Faculty Research Fellows Grant from the Center of California Studies, California State University, Sacramento to analyze state land holdings for the Governor''s Office of Planning and Research. He received a Ph.D. in economics from the University of California at Riverside.